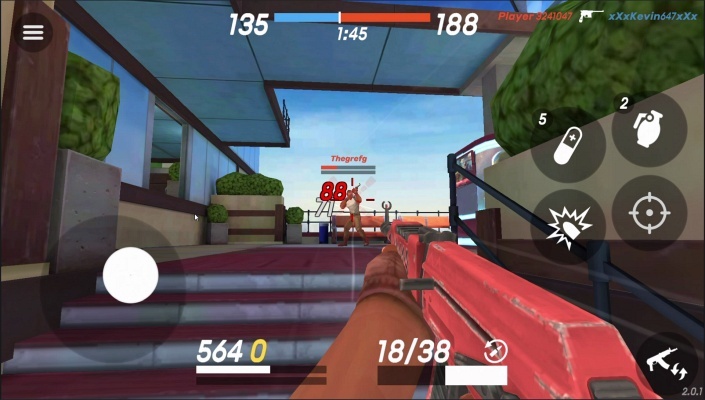 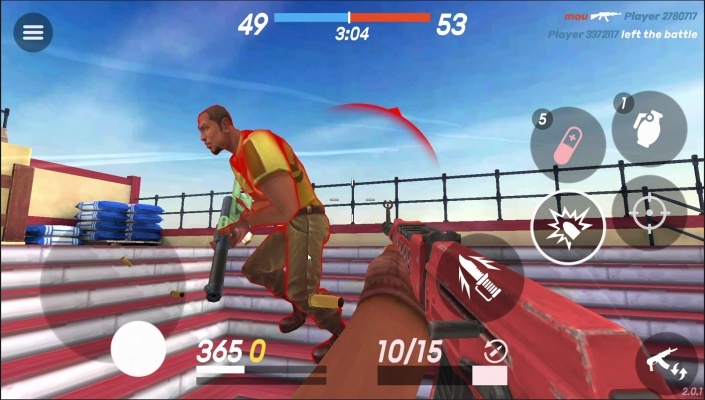 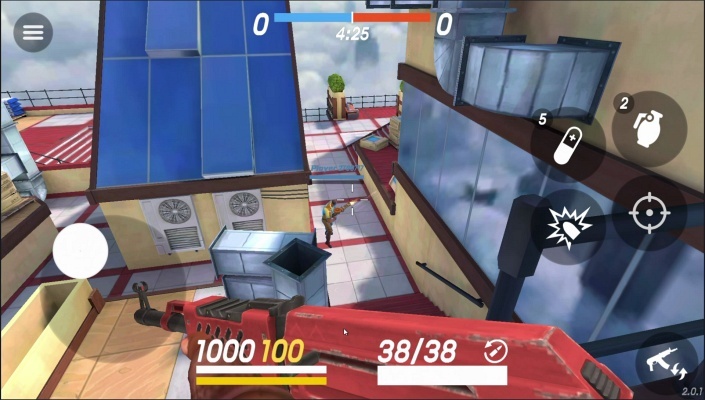 Guns of Boom is a Android Free-to-play , First-Person Shooter FPS Multiplayer Game featuring easy intuitive controls and awesome graphics for immersive gameplay . 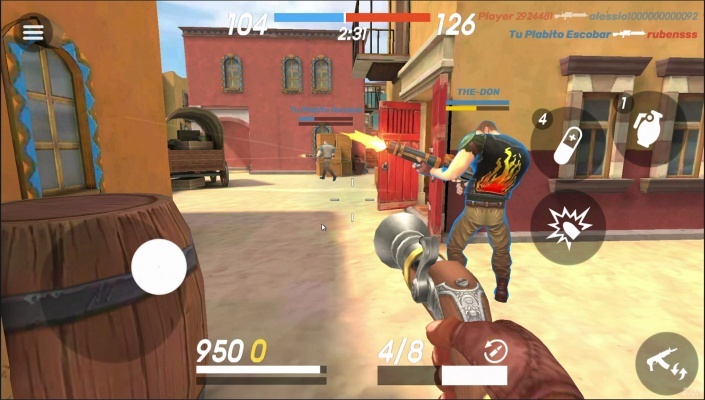 - Awesome graphics for immersive gameplay: stylish levels and cool animation will keep you glued to the screen! 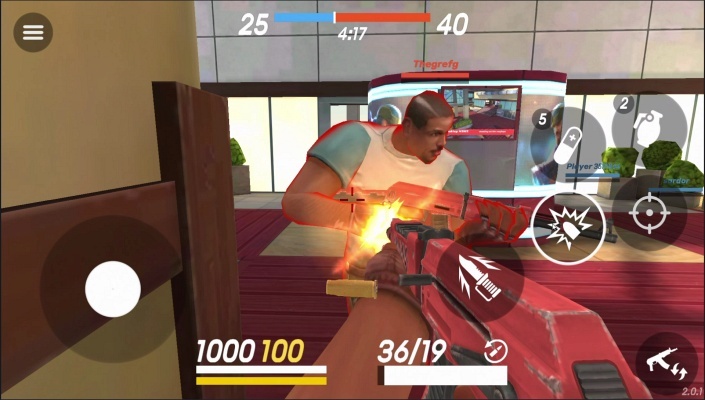 - Dynamic battles: play on a team and rip your enemies to shreds! 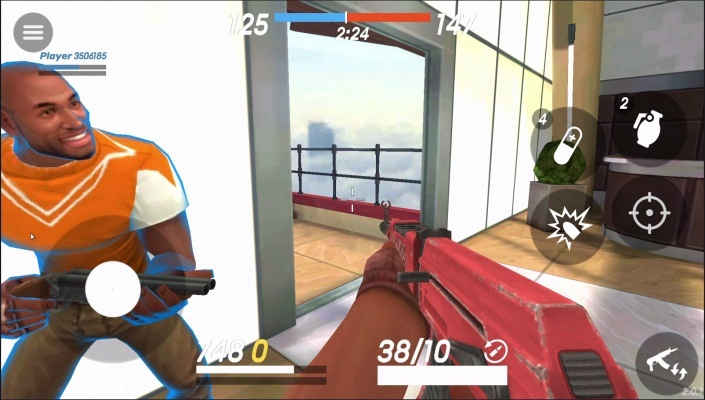 The more active you are in battle, the better your reward will be! 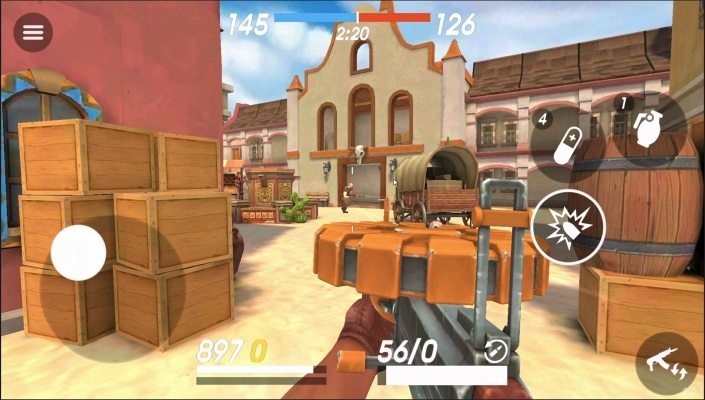 - Various guns: 48 weapons to choose from, including machine guns, assault and sniper rifles, shotguns, and more. 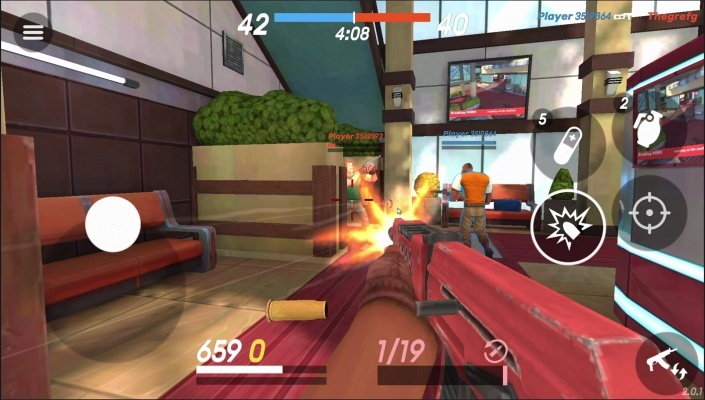 Each has its own unique ability: increased headshot damage, slowing down enemies, and even health leeching. 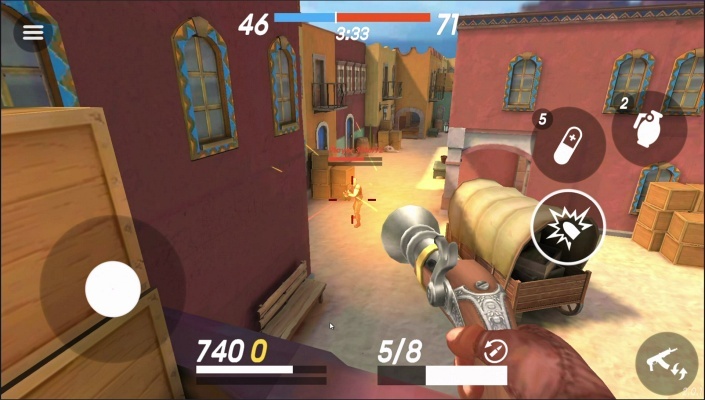 Find a gun that fits your style of play!